Fremont Oktoberfest, Sept. 18-20, Seattle. Fremont, the self-proclaimed Center of the Universe, becomes the “Center of the Brewniverse” for Fremont Oktoberfest this Friday, Saturday and Sunday, Sept. 18-20. 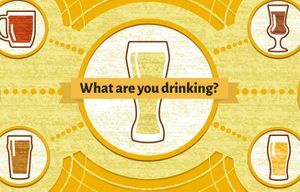 Sure, there’s bratwurst, dirndls, yodeling and chain-saw pumpkin carving, but it’s mostly about the beer, more than 100 varieties from 50 breweries with seasonal brews, traditional German bier, numerous IPAs and wheat beers, and specialties brewed just for the event. Selections include Oregon’s Deschutes Brewery Black Butte Porter; IRA red ale and Ninkasi Brewing Oktoberfest and Dawn of the Red, ales from California’s Lagunitas Brewing Co. and Firestone Walker Brewing Co.; and Hoffbrau Dunkel, Warsteiner Oktoberfest and other traditional beers by five German breweries. Local favorites on hand with signature brews and seasonal specialties include Elysian Brewing Company, Snoqualmie Falls Brewing Co., Georgetown Brewing Co., Fremont Brewing Co. and the oldest brew in town, Rainier Beer (“Mountain Fresh Beer Since 1878”). Several pumpkin-flavored ales including Blue Moon Harvest Pumpkin Ale, 10 Barrel Brewing Co. Big Ol’ Pumpkin Ale and Ballast Point Pumpkin Down Scottish Ale are among an array of seasonal selections. Cost: $25, or $35 with 5 tasting tokens, $40 with 10 tokens. Ages under 21 free with paying adult Sunday only. Oktoberfest 5K: 10 a.m. Sunday, registration opens 8 a.m., North 35th Street and Fremont Avenue North, Seattle; $25-$35. Street Scramble: 10:30 a.m. Sunday, North 35th Street and Phinney Avenue North, Seattle; $5-$25/person. If you don’t like beer, no worries; ciders, wine and nonalcoholic beverages are available. 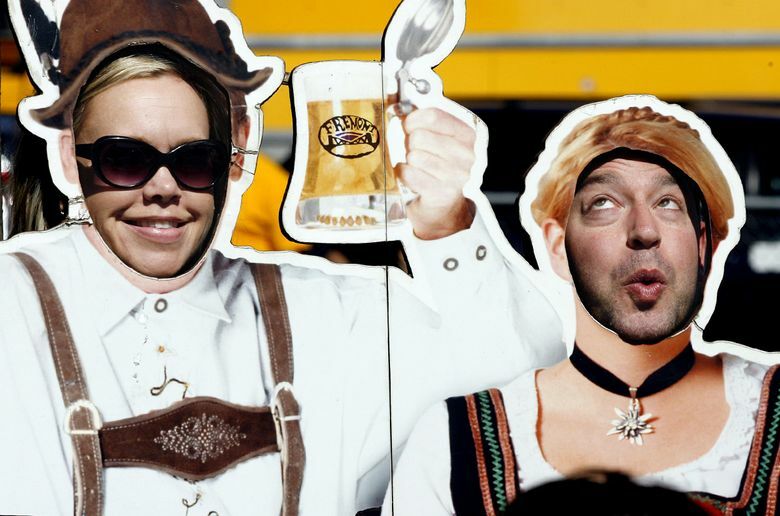 Admission includes the Tasting Garden with 5-ounce mugs of all beers, sold by tokens, and the Buxom Beer Garden with liter steins of three beer and cider choices, cash only, and the Miss Buxom Contest Friday, judged by German attire, Oktoberfest trivia quiz and yodeling ability. Liter steins with three choices, cash only, are also available in the Sports Bar indoor venue with giant screens to cheer for Seattle college and pro teams all weekend. Friday and Saturday Oktoberfest is for ages 21 and older only. All ages are welcome Sunday, with special events including the Fremont Oktoberfest 5K to benefit the Leukemia and Lymphoma Society, Street Scramble timed scavenger hunt, Texas Chain-saw Pumpkin Carving Contest at 1 p.m., and Kids Area activities. Dogs are welcome Sunday only, featuring the CityDog Magazine Cover Dog Model Contest at 3 p.m.
Local bands perform on the Main Stage all weekend, and German pretzels, bratwurst and fair food are available in the Tasting Garden. Fremont Oktoberfest benefits the Fremont Chamber of Commerce, supporting local schools, art groups and community events.